When Apple sneezes, it’s like Zeus throwing a thunderbolt. “What do they mean by this sneeze?” demands Planet Earth. “Is the iPhone 7 coming out tomorrow?” In this case, the sneeze and accompanying wave of OMG across the internets were the result of a patent filed two days ago by a company called Apple Electric Car, Inc. 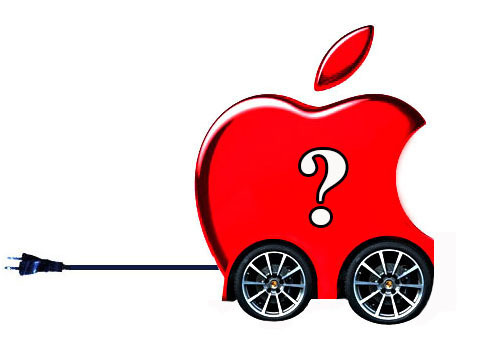 Some speculated Apple was tossing a tire into the electric passenger car game currently running neck-and-neck between Tesla, Nissan, GM and the rest. But the hype wasn’t worth the hype. 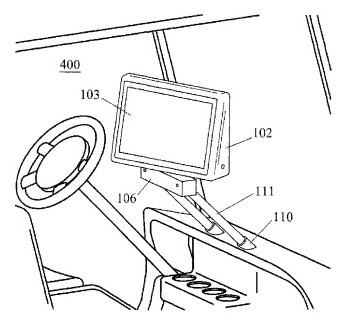 The patent, it turns out, is linked to a computer attached to a golf cart called the iProCar, pictured below. Both Apple and CEO Tony Bonito are mum, but Fox News reports Perry Pierce, whose name is listed on the patent, says he hasn’t worked with Bonito “in years.” Furthermore, he wasn’t aware the patent had been granted. This day-long hysteria reveals two things: one, anything Apple-related gets instant attention, no surprise since the company has just had not only the best quarter of any company in the world, but any company in the history of the world. Two, the brouhaha reveals the incredible thirst out there for an electric car done right. That translates to a machine delivering owners the same or less trouble, the same or better traveling range and costing the same or less money as an internal combustion vehicle. So far no all-electric ride has carved a profitable, for-real, it’s-taking-off niche in the industry, as, say, the Prius has in the hybrid segment. But just because Apple hasn’t gotten on board with electric cars publicly doesn’t mean they won’t, say experts. “Few remember that Microsoft introduced the Auto PC in 1996, almost two decades ago, at a Comdex computer show in Las Vegas,” Conrad H. Blickenstorfer, Editor-in-Chief of RuggedPCReview.com, told Long Island Pulse. “It didn’t catch on back then. But it is now.” The reality is Planet Earth is going to run out of oil one day at the rate we’re currently chugging the black stuff, though perhaps it won’t happen in our lifetimes.Whoever discovers and manufactures a practical, affordable alternative mode of transportation – like Henry Ford did – will change the planet, and it’s better to find this means now than when we’re, say, fracking ourselves to oblivion.